A Quoddy Bay Lobster Roll, with lobster claw garnish. 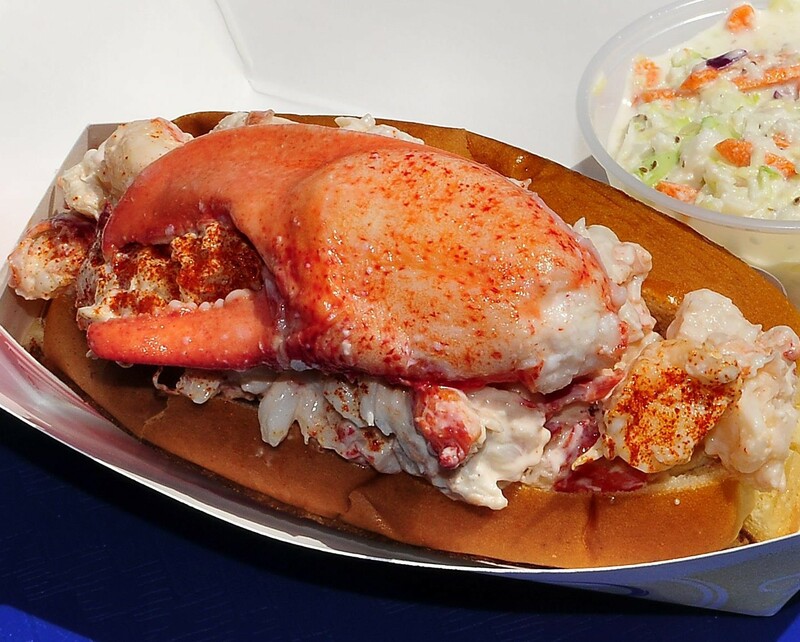 A good lobster roll is comprised of four components – butter, bread roll, lobster and dressing. The lobster meat should be served cold and lightly dressed in mayonnaise or a drizzle of melted butter. The roll should be served warm and griddled in butter until golden brown. In Maine, we use soft split-top buns (I’m a fan of JJ Nissan buns). The ratio of lobster to bun is critical. The roll should be stuffed to overflowing with chunky lobster meat. That meat should come primarily from the claw and knuckle of the lobster, which has a more tender texture than lobster tail meat. Many lobster aficionados, me included, prefer new shell (shedder) lobster meat as it has a sweater flavor. I recommend steaming the lobster vs boiling it and tearing the lobster meat into chunks by hand as a metal knife can cause oxidation, tainting the flavour. Additional lobster roll garnishes like lettuce, celery, lemon and spices are not out of the question but they should always compliment and never overwhelm the lobster. Click here for my classic Maine lobster roll recipe.